I feel there is still a stigma surrounding teenage pregnancy. I have seen young parents I know struggle with feeling isolated, childcare and general parenting advice. With the help of Fixers I want to make sure there is better provision of resources for young parents in the Shiregreen area of Sheffield. They should be able to get access to the support they need, including advice on things like healthcare, welfare and employment or further training opportunities. I want to give young mums a way to express how they think society sees them, perhaps by compiling a book of short stories, poems, photography and art. The not-for-profit organisation is backing my campaign and working in partnership with Fixers to help support young people across the country address the issues they want to fix. Thanks to extra support from Sanctuary Housing, each of the 5000 properties in Shiregreen will be receiving a copy of my Fixers 'Young Parents Together' leaflet! The resource (click below to view) will be delivered with the quarterly newsletter ‘Shiregreen Neighbourhood Network’ starting this month. A local fun day that I hosted as part of my campaign was featured in the Sheffield Star. Click here to read the full article. I am learning to drive and think the use of mobile phones while driving needs to be tackled. I would like to see a device being built into phones, or an app, which would disable the phone while a car is moving. Following my attendance at the Road Savvy Forum, I was featured in the Sheffield Star, you can read the article by clicking here. I also featured in a regional Fixumentary to discuss road safety for young people in Yorkshire. Click here to watch the full video. 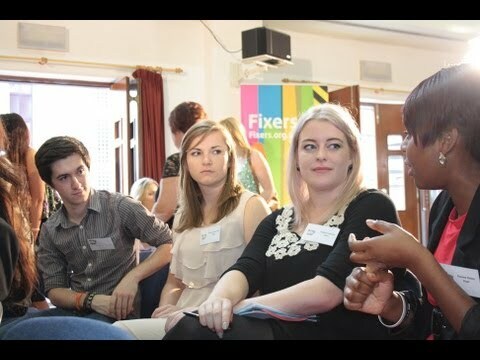 Click here to find out more about the Fixers Road Savvy Campaign.